As you try to not break from the sheer pressure and stress of commanding a Colonial Fleet in defense of Twelve Colonies in Black Lab Games' upcoming strategy title Battlestar Galactica Deadlock, the wins and losses during the fierce space battle may include many moments you'll want to record and show off to fellow game players. Thanks to the Autocam replay feature included in the game, this will be possible. 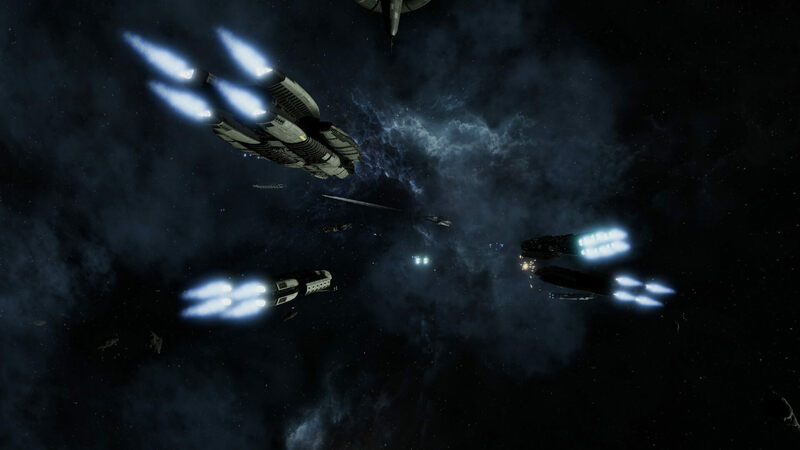 Battlestar Galactia Deadlock is still pencilled in for a summer release on the Xbox One. We've got the full list of Battlestar Galactica Deadlock achievements - check the list for guides to unlocking them.